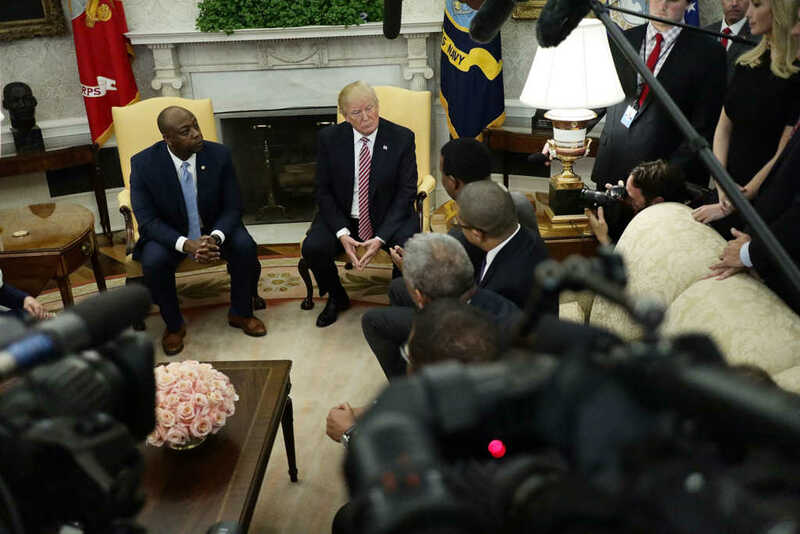 In a fascinating appearance on CNN’s “The Van Jones Show,” South Carolina Republican Senator Tim Scott said he was “hopeful” after engaging in a candid discussion on race with President Donald Trump. Speaking with host Van Jones, Scott said that his conversation with Trump was “uncomfortable” but that it ended on a very good note. “But the way it closed, I thought, gave me reasons to be hopeful,” Scott continued. Scott noted that Trump ended the conversation with an honest remark that left him feeling optimistic for the future: “‘Tim, I don’t see what you see. What can I do to make things better? '” the President said. Sen. Scott said he was quick to respond to that invitation from the President: “Support my Opportunity Zones legislation,” Scott replied. The legislation “creates “Opportunity Zones,” which utilize tax incentives to “draw long-term investment to parts of America that continue to struggle with high poverty and sluggish job and business growth,” according to the New York Times. Scott said he was encouraged that President Trump stuck to his word when promising to get behind the legislation.